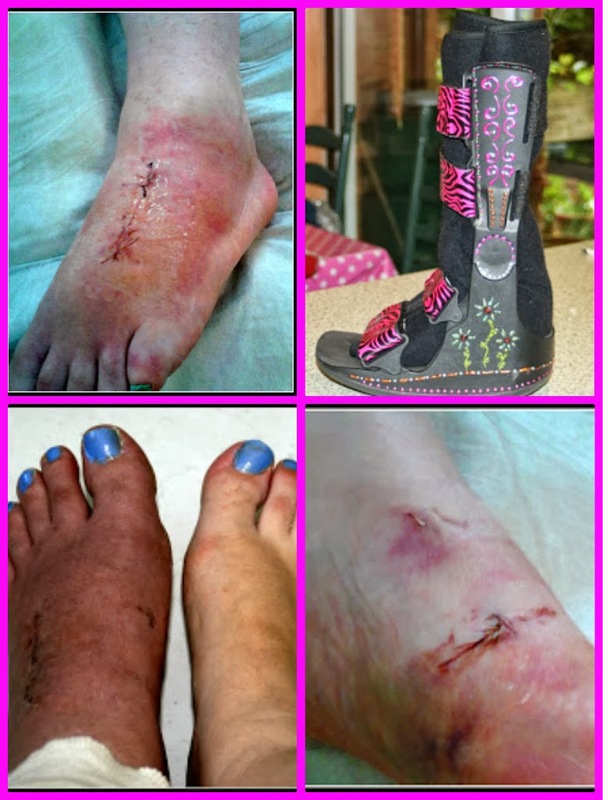 Suzanne's Tribe: Friday Fun on my Freaky Foot! 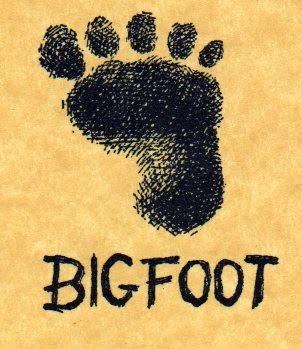 Now I think I would be known as Bigfoot! Okay - so I wasn't doing any of them, but I could have if I had wanted! I know, I know, it's Renee Zellweger not me, but spot the left foot doing a twist? A picture is worth a thousand words! That's why it's taking so long to heal. If you consider every other step my foot is operating as a shock absorber for dispersing the force of my body then you'll get why any type of foot injury works to it's own timetable, not the standard bone healing rates. Because of this - like I said, Bigfoot! Makes me want to throw up! And this is what my Bigfoot does now! No, it never used to do that! Freaky! My tendonitis is not getting any better, I keep giving it one more week! Weird to be pleased about doing housework right? lol! Found my limitation on my feet atm is 3 hours - Joshua's party - spent 2 days recovering. Two months since my last Lisfranc post and what a difference. I still get daily discomfort, but not pain. Don't get me wrong I still get pain, just not all day every day. Like when I knelt down in Church for the first time since July - the pain was so bad I honestly thought I'd done it some serious damage! Frustrating to still be struggling but I have to remind myself it wasn't exactly a minor break. Doesn't make it any less frustrating. The older we get, the longer it takes to bounce back from injuries. 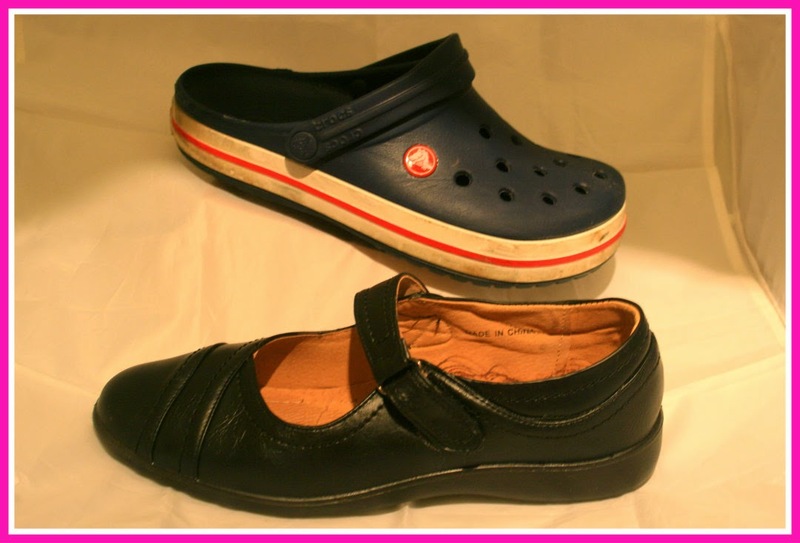 Although I have to say the shoes you have to wear now look way more comfy than the heels do! But then again I'm such a clutz that I'd probably injure my foot the same way you did if I wore the heels. Glad you are on the mend. Boy that looks bad! I'm glad it's getting better. Heels are overrated. I hope your foot gets better soon! Ouch!!!! I am glad it's been healing, because it looks really painful & limiting!! It reminded me of an episode of the IT Crowd, where the lead lady tries to cram her foot into a too-small pair of shoes, with disastrous consequences. Thanks for stopping by my blog... it's been too long since I caught up with you. I'm going to see if I can find you on Facebook, where I am more active!